This site is reserved for registered customers only. Please contact us to register. 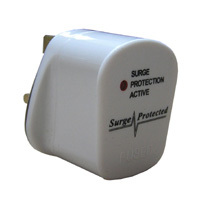 Surge protected plug designed to protect sensitive electronic equipment from the damage caused by power surges. 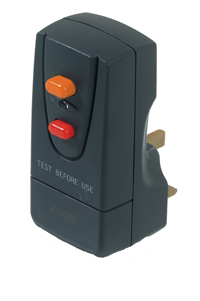 Surge protected adaptors designed to protect sensitive electronic equipment from the damage caused by power surges. 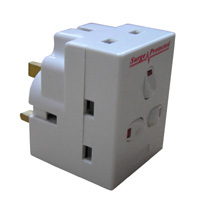 3 & 4 way switched adaptors that plug into a 13A socket giving 3 or 4 outlets, without the need for an extension lead. 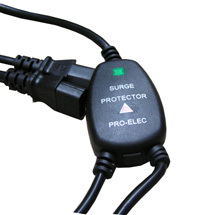 Surge protected extension leads with integral neon indicator. Rated at 13A and conforms to BS1363A. Available as a 4 or 6 gang version. 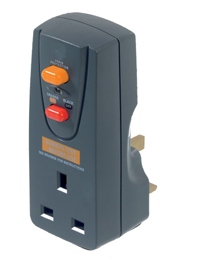 Five UK mains outlets, offer child protection through their 'swivel head' sockets. Simply turn the mains socket through 45 degrees to allow the UK plug entry to the socket and help prevent little fingers accessing the sockets!